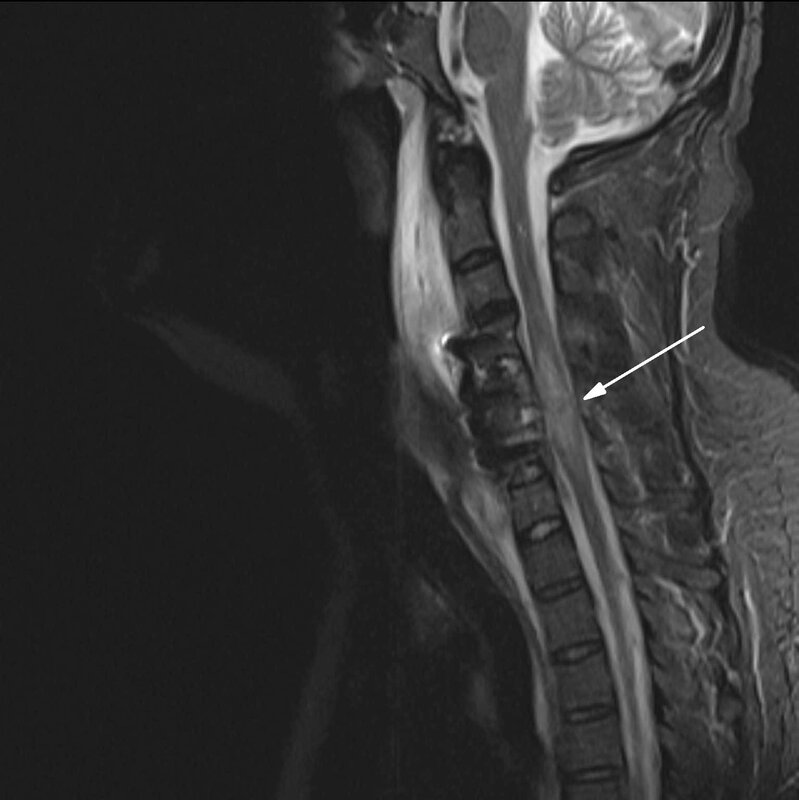 This pathway provides guidance on imaging patients at risk of a cervical spine injury following trauma. The guideline incorporates the validated Canadian C-spine Rules. 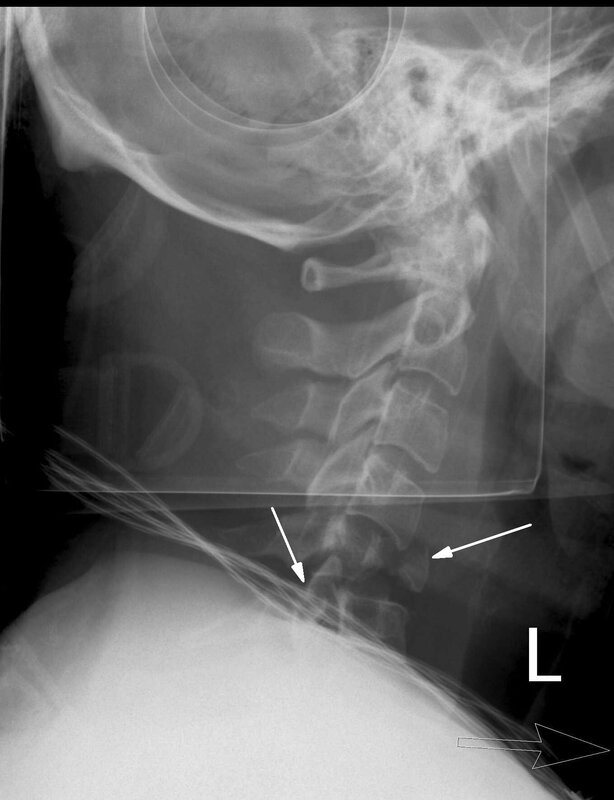 Image 1a (Plain Radiograph): Burst fracture of the C5 vertebral body (arrow) with fragments travelling both anteriorly and posteriorly and fracture of the C6 pedicle (arrow). 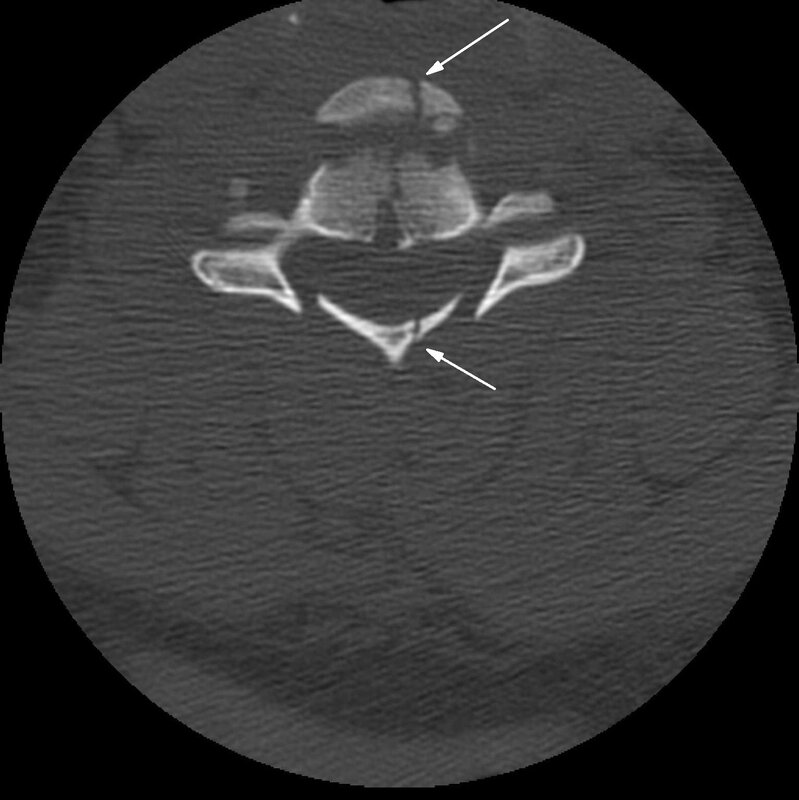 Image 1b and 1c (Computed Tomography): Axial and sagittal CT of the same patient demonstrating the burst fracture of the C5 vertebral body (arrow). 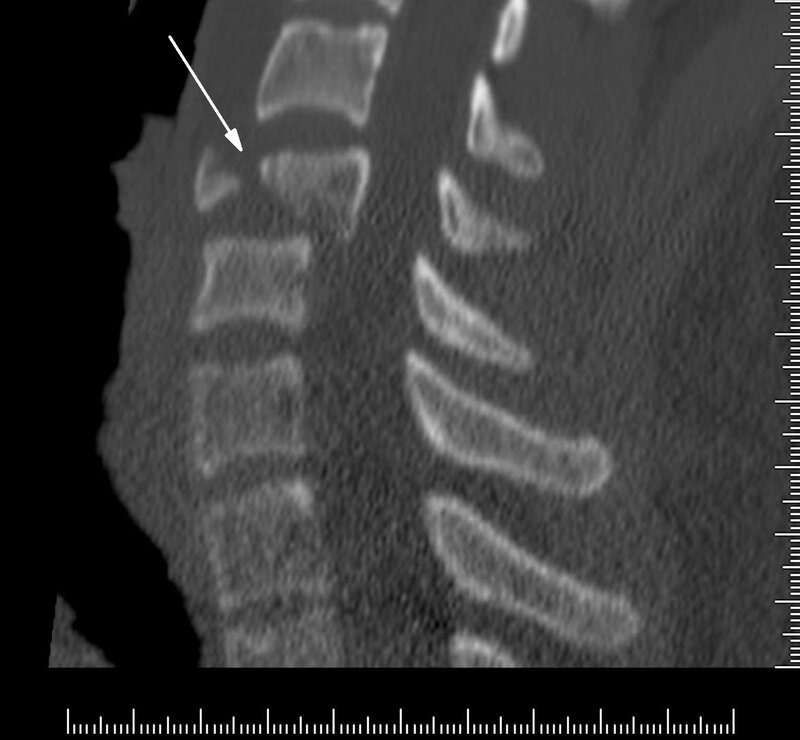 Image 1d (Magnetic Resonance Imaging): Post surgical MRI of the same patient showing plate and screw fixation of C4-C6 vertebral bodies. There is expansion and high signal of the cord from the mid-C4 to mid-C7 level (arrow). This most likely represents an intramedullary contusion injury. Duane TM, Cross J, Scarcella N, Wolfe LG, Mayglothling J, Aboutanos MB, et al. Flexion-extension cervical spine plain films compared with MRI in the diagnosis of ligamentous injury. Am Surg. 2010;76(6):595-8.